Fingerloop braiding, finger loop braiding, finger-held loop-manipulation braiding, Kute-uchi, Peruvian (or Andean) hand-held loop braiding. Fingerloop braiding is done with loops held on separate fingers, hand-held loop braiding is done with loops held over the whole hand, lined up in order. Almost all the posts on my site are actually about loop braiding, even the ones I haven’t placed in this category! August 30, 2014 in Letter braids, Loop Braiding, Pick-up patterns, Spanish braids, Uncategorized. May 13, 2014 in Beading with loop braids, Original braids, Tips. Here’s another “too-many-loops” video. This one is a demo showing how I braid the flat version of a 13-loop square braid, but with extra color-linking moves in each loop transfer. February 8, 2014 in Linking, Original braids, video. Here’s a video that shows how I make twelve-loop double braids. If you are new to my site, please don’t be put off from loop braiding because this video makes it look too complicated! – I have many tutorials for easy and beautiful loop braids, see my Tutorials index. January 21, 2014 in Double braids, Loop Braiding, Original braids, Tutorial, video. December 23, 2013 in Loop Braiding, meet ups, Tips, Uncategorized. November 5, 2013 in Loop Braiding, Uncategorized. New: Rodrick Owen will be teaching a two-day class on Peruvian flat braids at Braids 2016! Buried textiles rarely survive even a few hundred years. But in sites in and around what is now Peru, treasure troves of amazing textiles have been found that are thousands of years old—including beautiful and intricate loop braids! October 26, 2013 in Hand-held loop braiding, History, Kute-uchi. This video-based tutorial teaches several color-pattern variations of a 7-loop flat braid with an extra move in some of the loop transfers. It’s a way to link loops of different colors, to force them to stay within one section of the braid, instead of migrating across the whole braid. I taught this earlier for flat double braids–this is the same technique, but here I’m teaching it with the flat variation of a 7-loop square braid. September 30, 2013 in Color patterns, Linking, Tutorial, video. Also tips on how to make yet another double braid shape than the flat, hollow and rectangular ones of my double braid tutorials—the side-slit double braid. Set-up instructions for 11 color patterns for flat double braids, plus 1 solid double braid color pattern, 1 hollow, and 2 side-slit rectangle color patterns. September 3, 2013 in Color patterns, Double braids, History, Loop Braiding, Tips. Thanks Chris, Caroline, Dan, Terry, Traci, Colleen, Faustine for sending me your braid photos! 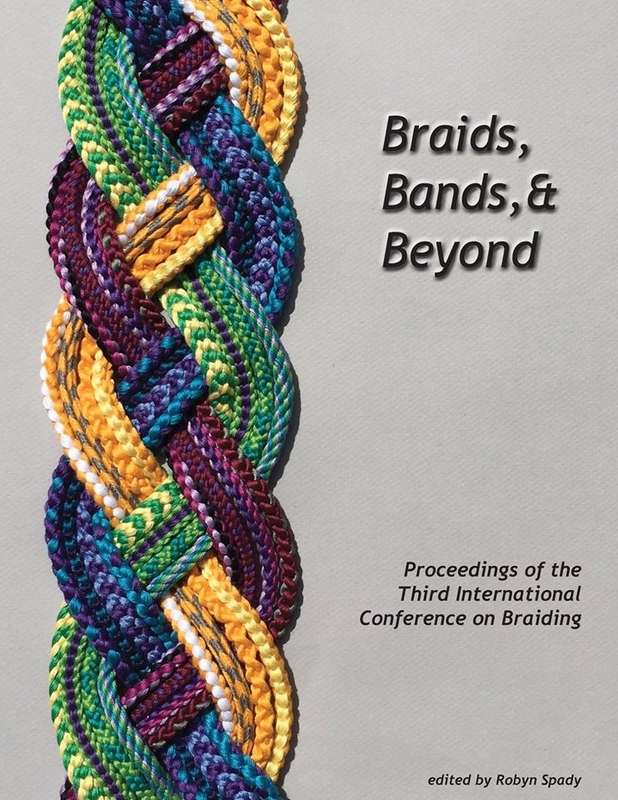 August 29, 2013 in Braiding materials, Knots, Starts & finishes, Readers' gallery. August 23, 2013 in Double braids, Loop Braiding, Uncategorized. Free pdf download now works! August 21, 2013 in Easy braids, Loop Braiding, Uncategorized. Braid a 10-loop braid with a friend! Tips on braiding as a team – the traditional way to make what I call “double braids” — ten-loop braids that are twice as big and complex as a square braid. Yet all you and your partner need to know first is how to make a 5-loop square braid! Video and photos. July 14, 2013 in Double braids, Tips. June 9, 2013 in Braiding materials, History, Knots, Starts & finishes, Letter braids, Original braids, Pick-up patterns, Spanish braids. Requests from readers, my answers and updates, also a note on European loop braiding history. May 29, 2013 in History, Readers' gallery, Uncategorized. April 29, 2013 in Loop Braiding, Uncategorized. March 19, 2013 in Double braids, Linking, Original braids. February 3, 2013 in Loop Braiding, Original braids.